Watercolorist Elsie Grace seen standing next to one of her paintings. UPDATE 02/25/13: Family members have created a memorial website for Elsie Grace who was found in a hotel room mauled to death by her son's two pit bulls on February 8. The website is devoted to the celebration of Elsie's life and her accomplishments as a teacher and watercolor painter. The website also hosts the Official Elsie Grace Scholarship for the Arts Fund. The starting goal is to raise $33,000 -- $1,000 for each year Elsie taught at Copper Mountain College. 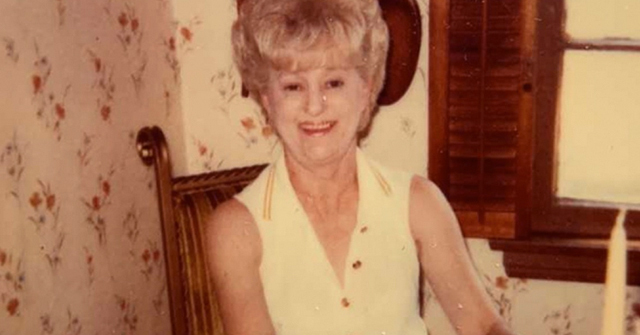 By establishing the scholarship fund, the family hopes to carry on Elsie's legacy of sharing the love and appreciation of art by providing financial aid to Copper Mountain College students on an annual basis in the future. If readers are unable to give to the scholarship fund, the family asks that you share the Elsie Grace Memorial website and its cause "on every social medical platform that you can." The family adds, "Let's show the power of social media for a great cause." 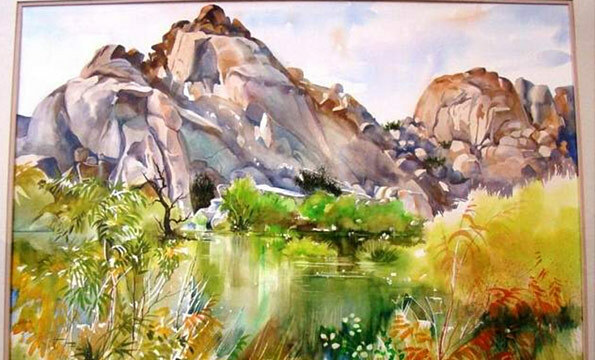 New information from The Press-Enterprise indicates that Elsie Grace was a nationally recognized watercolor artist who taught for 33 years at Copper Mountain College in Joshua Tree, California. Grace was a member of the La Quinta Arts Association, where she last exhibited as part of the 2004 Art Under the Umbrellas program. She also belonged to other national watercolor associations, according to Karen Ellis, a Palm Springs consultant who said she knew Grace. 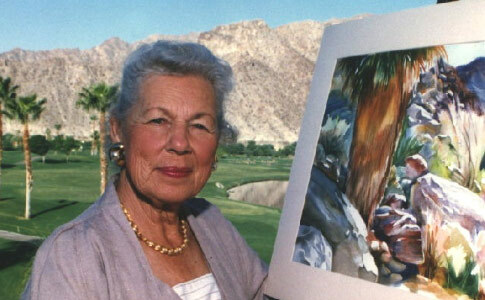 After her retirement in 2004, Grace was commissioned by La Quinta Hotel and painted 230 watercolor views of the hotel's casitas. Thus far, authorities have released no information about the victim's son who was staying with her at the motel, along with two family pit bulls. Details about the background of the dogs have not been released either, such as if they were adopted from a shelter or rescue group or even the actual owner of the dogs, which we expect is her son. 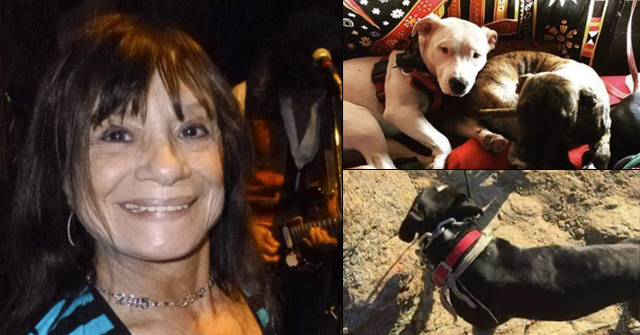 Jeff Sheppard, the president and CEO1 of the Ramona Humane Society, which has the animal control contract for the City of Hemet, suggested the woman was dead before the attack and that the dogs licked her to try to wake her up. Sheppard makes no mention of the nature of the attack described by police as inflicting a "great deal of trauma." As typical, another tax-payer funded humane group is awash in pit bull apologia in the instant wake of a brutal fatal pit bull mauling. The dogs were removed and are being held by the Ramona Humane Society, which oversees animals control in the city. "They don't seem really aggressive," said Jeff Sheppard, president and CEO of the Humane Society. "These are family pets." Sheppard said he did not know the specifics of the case, but it would not be unusual for pets to lick an owner who is unresponsive. "An animal's instinct is to try and wake them up," he said. Hemet, CA - Authorities say a 91-year old woman discovered dead in her motel room was mauled to death by two pit bulls. Elsie Grace was found dead in her Motel 6 room in Hemet on Friday morning. "The victim had a great deal of trauma to her body," according to Hemet police Lt. Duane Wisehart. Apparently, Grace and her son were staying at the motel because they were in the process of relocating to Hemet. Her unnamed son was away at the time of the deadly attack. One of Elsie Grace's water color paintings from the Copper Mountain College's collection. 1Grace was killed on Friday -- 3 days before the media reported it. Yet, CEO Jeff Sheppard claimed he "did not know the specifics of the case." That's three strikes: 1.) Sheppard ignored the police statement describing the victim's injuries 2.) Instead, he suggested the victim was dead prior to the attack and 3.) As president and CEO, Sheppard also denied knowing "specifics" about a fatal dog attack under his own jurisdiction after 3 days. It's not as if the lady was a stranger to these dogs. After all, they were owned by the son. Ramona Humane Society CEO Jeff Sheppard — the entity holding the two pit bulls — suggested the victim was perhaps licked to death. Or rather, some person (or wild animal?) 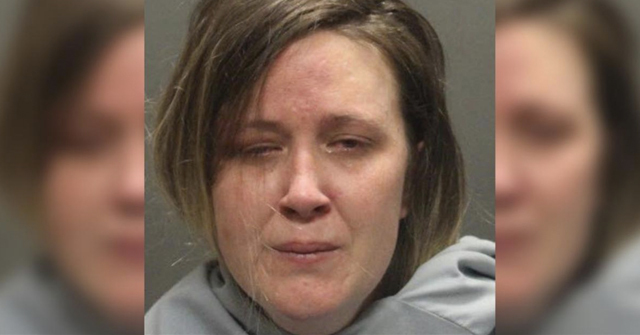 broke into the Motel 6 room and inflicted "horrific" bite injuries and trauma upon the woman killing her. Thank God for Hemet Police who won't lie to the public or media about this woman's death. Sheppard of the Ramona Humane Society, who holds the AC contract for the town and has the foremost duty to PROTECT the public from dangerous dogs will LIE until his teeth fall out. Sheppard said it’s not unusual for pets to lick an owner who is unresponsive. “An animal’s instinct is to try and wake them up,” he said. It’s possible the woman could have died before the animals attacked her, he said. I guess I have this inherently suspicious nature – I find it unusual that a 91-year-old woman who has lived such a full life contributing to society and teaching art to others winds up in a motel 6 with 2 PIT BULLS !!!!! IS THERE ANOTHER STORY HERE THAT WE MAY NEVER LEARN ABOUT ????? The red balloons on CALIFORNIA'S FATAL PIT BULL MAULINGS MAP……ARE BEGINNING TO OVERLAP !!!!! Per Ramona Humane Society CEO Jeff Sheppard "it’s not unusual for pets to lick an owner who is unresponsive. “An animal’s instinct is to try and wake them up,” he said. It’s possible the woman could have died before the animals attacked her, he said." Feb 2013, Hemet, CA; 91 Elsie Grace is mauled to death at a Motel 6. "The victim had a great deal of trauma to her body," according to Hemet police Lt. Duane Wisehart. Apparently, Grace and her son2 were staying at the motel because they were in the process of relocating to Hemet. Her unnamed son was away at the time of the deadly attack. *Disclaimer..You Can't Make This Stuff Up! I had to read the comment from the AC guy a few times to make sure you guys were not just pulling my leg. Vintage you really can not make this stuff up. Yeah those wiggle butts were trained in CPR, I am sure of it. That AC needs to be fired. Just another pit apologist who oozed his way into the position. 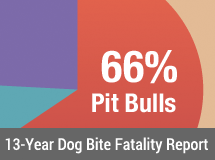 5 pit bull DBRF's in California alone within a year. How many more before there is a "product recall"? Lawn darts banned after 2-3 deaths total…pit bulls the numbers just keep rising and no one with authority thinks its a worthwhile cause. How are all these victims not important enough for them to do something? How many more victims do there really need to be? Elsie Grace was my wonderful, caring, giving grandmother. She led a life of service to others. She did NOT love these dogs. They were her son's dogs. She had come home to these dogs killing one of her cats within the last year. The dogs should have been put down immediately after that incident. But her son is an uncaring, selfish, alcoholic/drug addict that had made her life unbearable for the past 7 years. Her son should be held responsible for her death along with his dogs. He abused her regularly and his dogs consistently showed signs of violence which he excused away. But she endured it all because she felt that her child was her responsibility however old, irresponsible and troubled he was. The family has always been concerned about he situation but we never imagined this tragic outcome. Ultimately, the family would prefer that her life be celebrated for her accomplishments, the manner in which she treated others with unconditional love and kindness, and for the beautiful art she has left with us. Thankfully she will no longer feel the pain and sorrow of this world. She should not be cast as some pawn in the debate over whether this breed of dog should be punished for their actions. Trivializes her life. I must say that some of these comments are downright insensitive and heartless. I am not surprised that those tend to come from the same folks that defend these killers. Appreciate the sentiments of those folks that feel the punishment fits the crime. But the opposite view in these comments are absolutely irresponsible. While Elsie's son was irresponsible, he did not train these dogs to be violent. He simply allowed them to act naturally. We, the family, are convinced that this tragedy is directly related to the characteristics instilled in the breed of these dogs. Good ol' Riverside County…Pit Bull DBRF number 6 for them! BSL NEVER WORKS FOR DOG FIGHTERS AND PIT BREEDERS…THEY HAVE TO GET REAL JOBS INVOLVING PAYING TAXES LIKE DITCH DIGGING.